Situated on approx. 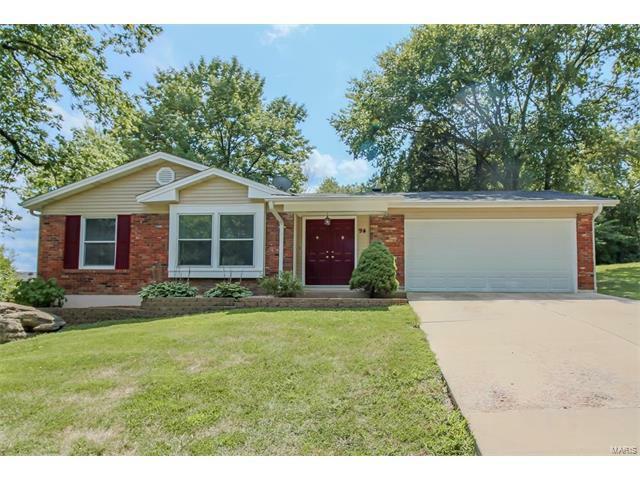 1/3 acre in sought-after Rockwood School District, this 4BR ranch is surrounded by tasteful landscaping/hardscape. There is 1756 SF on 1st floor & park-like yard backing to trees. The entry foyer opens to a formal living rm and formal dining rm. The eat-in kitchen has all appliances & a deep pantry. Off the Foyer is the Family Room w/wood burning fireplace & newer Anderson sliders lead out to an XL private patio. The Master Suite features a walk-in closet & 2nd closet. Master bath has xtra-height white vanity & shower. Additionally there are 3 more Bedrooms, one w/walk-in closet. The MBR, Hall & 4th BR has newer carpeting. An updated full Hall Bath has a tub/shower & pedestal sink. The w/o LL is partially finished, ideal for Fam Rm/Rec area. 2 Bonus Rooms add extra space for a hobby/exercise/play room. Newer 60 gallon hot water heater & an oversized 2-car garage. Seller is offering an AHS Shield Plus home warranty.